Ola! I arrived in Barcelona yesterday to attend a week long conference. I took the taxi to the city center from the airport and it takes roughly 30 minutes and about 25 Euros. Upon arrival at Hotel Barcelona Universal, I wasted no time to go sight seeing as my schedule for the next few days are packed with sessions that I strongly want to attend. As the day goes dark later in this time of the year, it worked out to my benefit as I still manage to take quite nice pictures at 8.30 p.m.
Hotel Barcelona Universal is strategically located next to Parallel Metro station on the L3 line. The underground rail is quite straight forward to use. Thanks to my research a day before, I found out about purchasing a T-10 ticket which will allow you ten journey on the network. Each journey lasts for an hour and 15 minutes which means you may travel as much as you want within that timeframe to be considered as a journey. The ticket costs 7.20 Euros and is purchased via the ticket machines. The Metro is a reasonable and convenient way to travel in Barcelona. My first stop was Catalunya Station and I had a look at Las Ramblas. 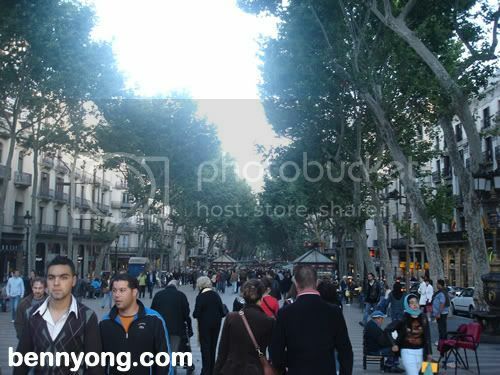 This is a 1.2 kilometer-long tree-lined pedestrian mall in the Barri GÃƒÂ²tic, it connects PlaÃƒÂ§a Catalunya in the center with the Christopher Columbus monument at Port Vell. I soon continued my journey switching lines at Diagonal Station for my onward journey to Sagrada Familla station for the La Sagrada Familia. It is known as The Sacred Family in English. 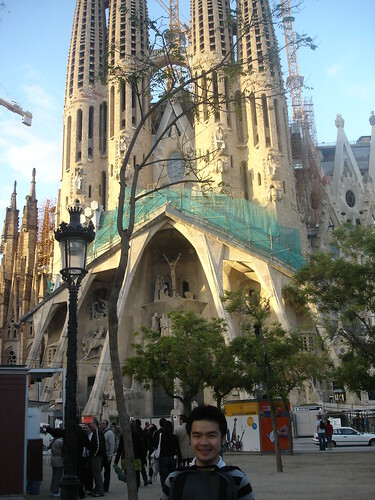 This is the most iconic site in Barcelona and one of Gaudi's most ambitious piece of work. 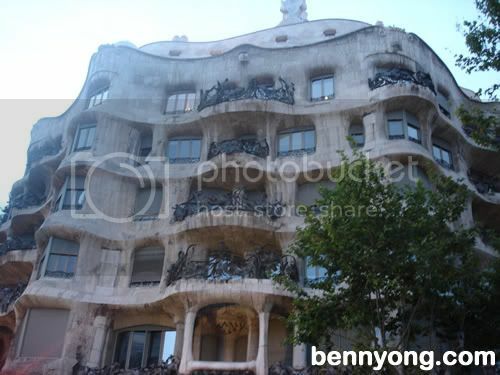 Here is Casa Mila or better known as La Pedrera. It is yet another amazing work by Gaudi. I was soon searching for dinner whereby I settled for McDonaldÃ¢â‚¬â„¢s. 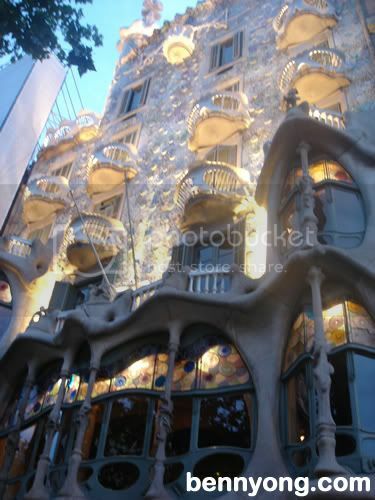 It was nice to see something familiar and as a bonus, I stumbled upon Casa Battlo, The local name for the building is Casa dels ossos (House of Bones), and indeed it does have a visceral, skeletal organic quality. Upon completion of quick walk today, I realised I visited all Gaudi's main building work in Barcelona. Pretty good when I have not actually planned anything. If you are not seeing any pics as of yet, it will take a while before I can update them on my blog. ThatÃ¢â‚¬â„¢s all the highlight I have for you now. Will post more later. The buildings are lovely. So must creativity is put into it.